I sometimes notice that coffee smells better than it tastes–or that it doesn’t taste the way it smells. Even the aroma of coffee, for instance, is difficult to sum up–sweet, bitter, spicy, acidic, toasted, burned, with hints of blackcurrants, chocolate and hazelnuts. 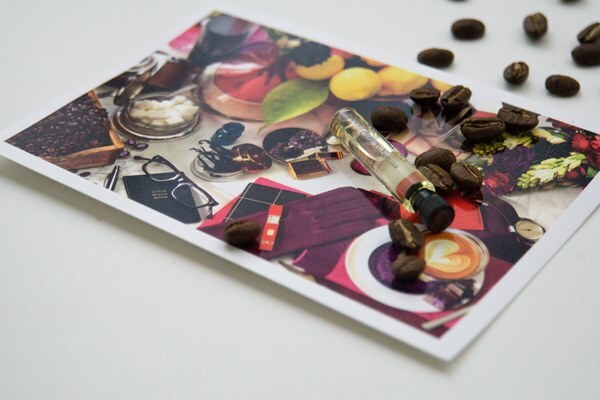 Even more difficult is to render coffee notes believable in a perfume without making one smell like a badly washed coffee mug, or worse, a piece of grilled meat. Coffee notes are stubborn. I’ve been on a search for successful coffee perfumes for a while, and this fall I’m adding a new contender to my collection, Atelier Cologne Café Tuberosa. The idea behind Café Tuberosa is clever–take a creamy tuberose accord, brighten it with bergamot and give it a bittersweet rush with coffee. All three are bold, strong notes, but the whole fits together so harmoniously that it makes me wonder why this motif is not more explored. Coffee is not a minor star in the perfume. Its vapors rise all the way to the citrusy top notes that for a moment give me the impression of biting into toast slathered with bergamot marmalade, with bitterness and sweetness so interlaced that one can’t tell them apart. The tuberose feels demure at first, or at least as demure as this drama queen of a flower is capable of appearing, and later it makes its presence felt by its characteristic coconut milk creaminess. Paired with the roasted, nutty notes of coffee, it smells deliciously decadent. As Café Tuberosa dries down, it balances between an exotic floral and an abstract gourmand, tantalizingly shifting from one impression to another. The woody, spicy notes become more pronounced as the perfume enters its last stages, in which it lingers for hours, and it keeps delivering its hit of coffee. Café Tuberosa takes its Arabica unsweetened, however. The effect is at once sumptuous and elegant, especially since the composition remains radiant and airy like a true cologne, though its presence is far more substantial. It seemed paradoxical until I realized that the secret of Café Tuberosa is in the generous dose of patchouli. The essence of a leaf that smells like wood plays another trick by conjuring up the coffee bean. Lucasai: Cafe Tuberosa didn’t really work for me. I hate the smell of coffee and despite The fact that I mostly got bitter chocolate from this perfume, it didn’t help. Notturno7: Beautiful review as always, Victoria! Aurora: I belong to the club of those enjoying more the aroma and the ritual around coffee than the actual drinking of it (more of a tea person) but enjoy coffee in perfume and what a lovely review this is. I am a little afraid of the tuberose in it but perhaps it is rather tame, you describe it as creamy and this does appeal. scent! I hope to sample it soon. Julie Demelo: Victoria, I can’t wait to try this scent along with the Orange Sanguine Cologne…I also notice they have a shower gel. Just placed an order with Sephora. I have been meaning to replace a bronzer that is almost gone and also need a cleanser. “Farmacy” a new brand (to me) with wonderful ingredients, Clean Makeup Removing Cleansing Balm, this stuff sounds great! Many times I look for the 10 ml travel sizes and they are sold out, not this time. I couldn’t stop sniffing my arm!